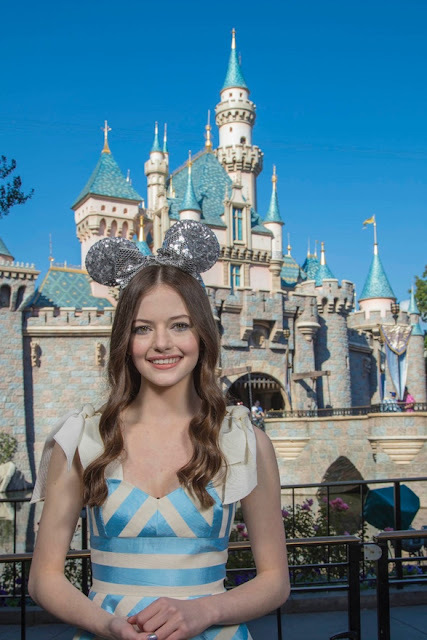 Mackenzie Foy, who plays Clara in the upcoming fantasy adventure “The Nutcracker and the Four Realms,” surprised guests at Disney California Adventure’s Sunset Showcase Theater in Hollywood Land tonight after they caught a sneak peek of footage from Disney’s 2018 holiday feature film. For a limited time beginning tomorrow, Oct. 5, guests visiting Disney Parks will be able to preview footage from the movie in sneak peeks planned for Disneyland and Walt Disney World Resorts. “The Nutcracker and the Four Realms” opens Nov. 2, 2018.